It was Atlanta boss Gerardo Martino's final game in charge before he becomes head coach of Mexico. "We won it, it feels good," he said. "If I had to choose a way to leave somewhere, this is the best way." Miguel Almiron's set-piece was flicked on by Martinez into the path of Escobar, who fired into the bottom corner. 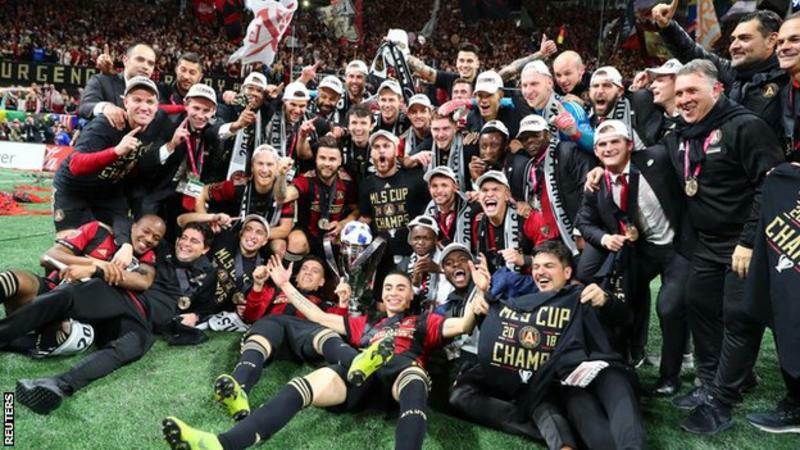 "For me personally, this is up there with the top moments," said Atlanta goalkeeper Brad Guzan, who previously played for Aston Villa, Hull and Middlesbrough. "You never know if you're going to have this opportunity again." Atlanta - who finished second in the Eastern Conference in the regular season - were formed in 2014 and started playing in the MLS in 2017. Victory is the city's first major pro sports title since 1995 when the Atlanta Braves baseball team won the MLB World Series.